All available scores for Boston are in the section below. 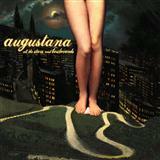 Augustana, The Dresden Dolls, Hal Leonard Student Piano Library, Amanda Palmer, Mona Rejino is the writer of this piece of music. You can preview the first page of Boston by clicking on the preview icon next to the the arrangement that you that you would like to view. Most files also offer a short audio playback and the facility to transpose a piece. If we have arrangements for a variety of instruments, but you would like to only see the scores we have for one specific instrument, then please alter the selection accordingly in the section just below this paragraph. Should you like to leave a review for any of our scores, then please go to the section marked "Comments" and you can write your own review there. If you are on Twitter or Facebook, and you would like to tell your friends about this piece of music, then please navigate to the share icon where you can choose from a variety of social media platforms to share this song. We currently offer 6 arrangements of Boston for 6 instruments.